One of the highlights of living in this city is the serendipitous partnerships that arise when least expected. 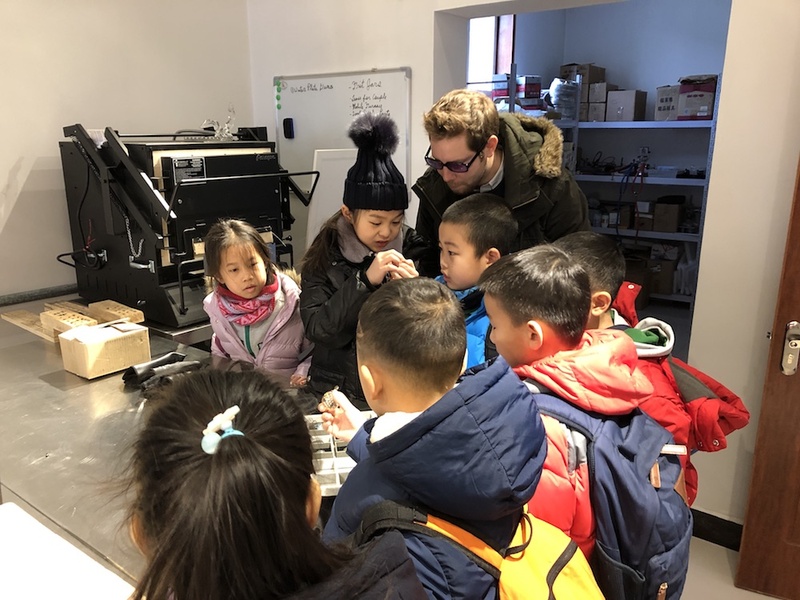 Introduced through the Beijing Bike Polo Club, glassmaker Paul V and Sam Haydon, a teacher at Beanstalk International Bilingual School (BIBS), hatched a plan to get his school’s students out to Paul’s scenic home studio, situated near to the Great Wall. 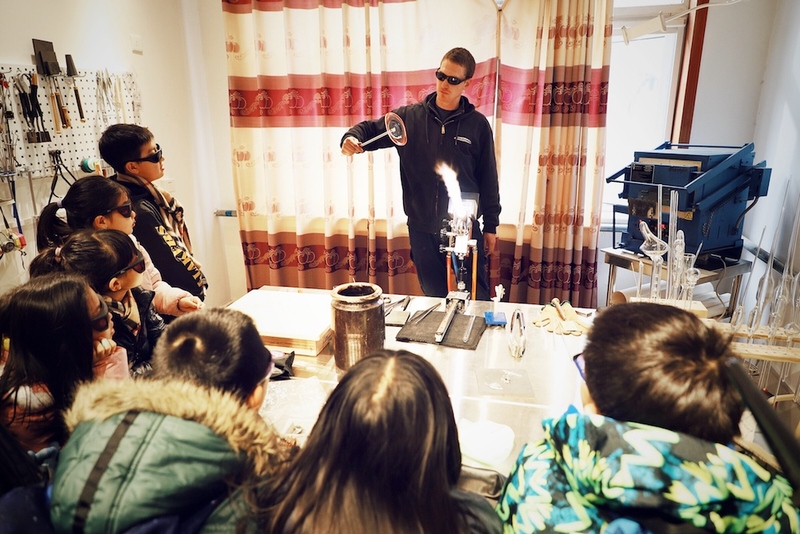 Paul V always knew that he wanted to work with his hands, and worked as a cabinet maker and lighting repairman through college, but finally found his calling after attending a ‘life-changing’ glassblowing workshop just over ten years ago. Since then, he has been teaching glasswork at various universities and institutions around North America and China, with a passion for functional glassware, such as cups and carafes. Started with his wife, Amy, as the designer, the Bubble Baker Glassware brand plans to break into various shops and studios over the next few months – hopefully more figuratively than literally! Paul comments on how the material is always providing new challenges and opportunities to learn, which is what keeps him interested. “I feel like I could get comfortable making one thing, but every time I’m faced with a new design, it’s like starting over again.’ Admittedly, however, sometimes the most simple, preparatory tasks look the most impressive to a new audience.